Cottonwood Art Festival is a creative place for kids of all ages! Crazy Cool Caps - Colorful, over-the-top hats using ribbons, glitter, feathers, pom-poms, foam shapes and more. 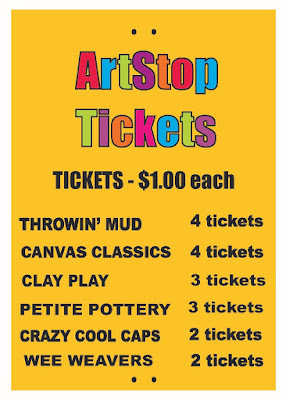 Throwin' Mud - Prepare to play in the mud (with an art apron) at this activity station guided by ArtStop's own master potters. Kids learn to throw a pot or vase on an electric potter's wheel and take home their art once it is dry and ready to go. Canvas Classics - Prop a fresh canvas on an easel and turn carefree brush strokes with paint, into a glorious masterpiece. Clay Play - Learn how to form polymer clay into colorful "straws." These straws are then cut and rolled into beads and other shapes to string a necklace or keychain. Tile Treasures - Mosaics made from trinkets and tissue are as unique and creative as the children who make them and the tiles make wonderful keepsakes. Wee Weavers - With fallen twigs gathered from the park, kids build a base to create their own unique weaving from colorful yarns and strings. Children add feathers or beads to personalize their creations. Donations of leftover yarn were collected from the City of Richardson employees to create this upcycled art project. Rollin' and Recyclin'- The "Green Team" returns with creative ideas and artistic ways kids and families can recycle with common items we typically throw in the trash. The "Art from the Park" activity is free. 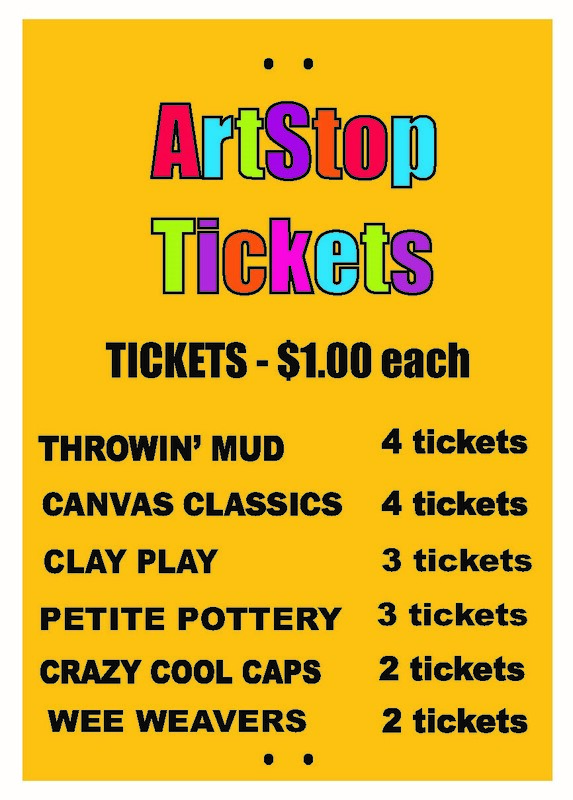 Don't forget...there's an art to having fun at Cottonwood Art Festival !